This book vividly reconstructs the social world of upper middle-class Belfast during the time of the city’s greatest growth, between the 1830s and the 1880s. 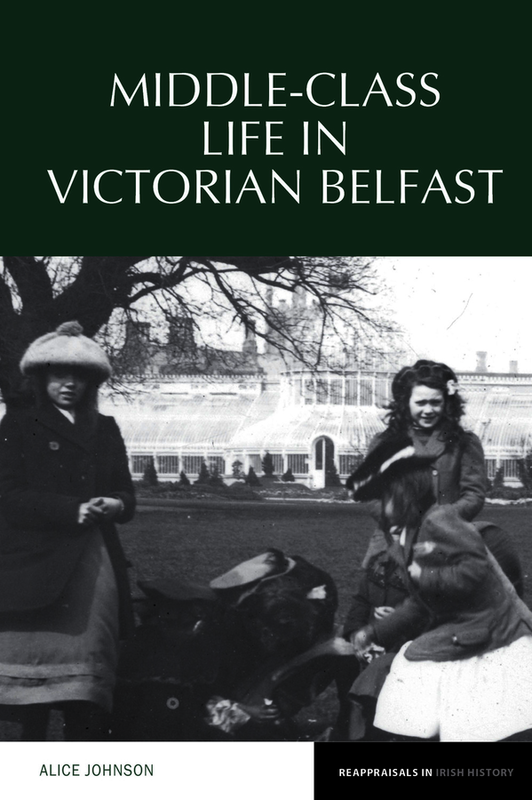 Using extensive primary material including personal correspondence, memoirs, diaries and newspapers, the author draws a rich portrait of Belfast society and explores both the public and inner lives of Victorian bourgeois families. Leading business families like the Corrys and the Workmans, alongside their professional counterparts, dominated Victorian Belfast’s civic affairs, taking pride in their locale and investing their time and money in improving it. This social group displayed a strong work ethic, a business-oriented attitude and religious commitment, and its female members led active lives in the domains of family, church and philanthropy. While the Belfast bourgeoisie had parallels with other British urban elites, they inhabited a unique place and time: ‘Linenopolis’ was the only industrial city in Ireland, a city that was neither fully Irish nor fully British, and at the very time that its industry boomed, an unusually violent form of sectarianism emerged. Middle-Class Life in Victorian Belfast provides a fresh examination of familiar themes such as civic activism, working lives, philanthropy, associational culture, evangelicalism, recreation, marriage and family life, and represents a substantial and important contribution to Irish social history. Alice Johnson is a lecturer in history at Belfast Metropolitan College and Visiting Research Fellow at Queen’s University Belfast.